What I am about to tell you is something that you already know but, yet, as far as I can tell, has never been articulated into words by anyone before. Social media has given you and me — plus anyone with the privilege of having access to a smartphone or tablet or computer — an unprecedented power that nobody prior to this century has possessed. Nobody. But before I tell you what this unprecedented power is, I first want to take you along on a brief visit to the sidewalks of New York. The streets of the city pulse with noise and energy and sheer ambition. The city is a vortex which, in its swirl, draws into itself people and money and dreams. Many people and dreams get crushed here. Much money lost. But dreams also get materialized, people earn a name for themselves, and practically countless fortunes accumulated through the connections and exchanges and energy activated through this vortex of ambitious enterprise. E.L. Doctorow expressed with vividness the vitality and voraciousness that invigorates the traffic pulsing across the thoroughfares of Midtown Manhattan in his prelude to New York: A Documentary Film, the utterly astonishing visual history told by filmmakers Ric Burns, James Sanders, and Lisa Ades, first broadcast on PBS and today available on DVD or online at topdocumentaryfilms.com. 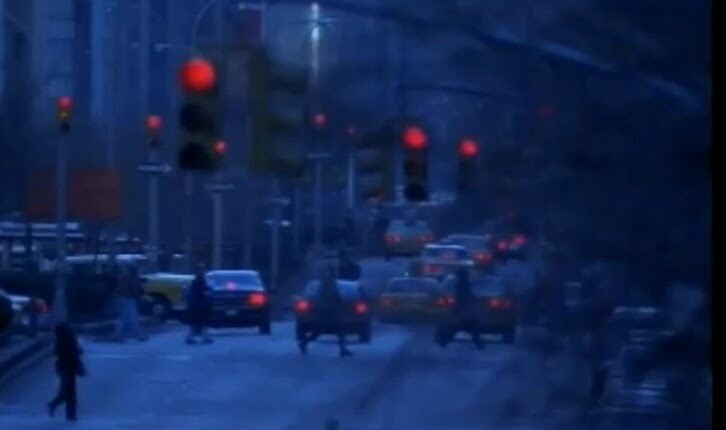 If you imagine an ordinary moment at an intersection in New York City, and there's a pause because there's a streetlight, and some people are stopped and others in motion, some cars stopped and others in motion, if you were to put that in a freeze frame, and hold everything for a second, you'll realize that there's a universe there of totally disparate intentions. Everybody going about his or her business in the silence of their own minds, with everybody else, and the street, and the time of day, and the architecture, and the quality of the light, and the nature of the weather as a kind of background or field for the individual consciousness and the drama it is making of itself at that moment. And you think about that, that's what happens in a city. And that, somehow, the city can embrace and accept and accommodate all that disparate intention at one and the same time, not only in that corner but in thousands of corners. What Doctorow says regarding New York, of course, may be applied to any major urban center, to Tokyo or London, to São Paulo or Shenzhen, to Barcelona or Alexandria. These places attract capital and people which in turn attracts dreams and what Doctorow brilliantly describes as the "universe of disparate intentions." I think Doctorow hit the proverbial nail right on its proverbial head. The city brims with the disparate intentions and ambitions of the people that pulse along its streets. So what — if anything — does this have to do with social media and, particularly, with unprecedented power? Let me take a deep breath and try to explain. The landscape of this universe of disparate intentions that makes up the vitality of the city is essentially a private affair. People's paths cross. But rarely do they know what the man they just bumped into may be thinking. The intentions remain private, hidden behind the inscrutable mask of a face. Sometimes, a few people walk together, alongside friends who happen to know what they happen to think and believe and desire: friends who are brought into the intimate circle of ones own intentions. But the vast majority of passing glances and wary looks occur between strangers on the streets of the city. The vast majority. Now lets end our visit to the city in our imagination and turn our attention instead to another vortex of human interaction and intention: social media. What takes place on Facebook? On Twitter? On Google+? Would it be fair to say that the vast majority of posts are, in actuality, the revelation of the "disparate intentions" that Doctorow noted motivate the hustle that bustles along the sidewalk and roadways and transit tracks of our cities — inscrutable intentions that remain concealed in silence behind stolen glances and blank stares. Doesn't social media permit each individual the glorious luxury of putting into words and pictures that which remained concealed and locked away within the fortress of our own private, so very private, imagination. Wait a minute! Don't tell me this is unprecedented! Anyone who troubles to read, say, the correspondence between John Adams and Thomas Jefferson, or the progressively revelatory notes exchanged between Robert Browning and Elizabeth Barrett, will recognize that there is nothing particularly novel nor unusual about the human capacity to reveal oneself through words except, perhaps, the articulateness with which this disclosure of what resides within oneself has been performed. Yes, yes, and yes! 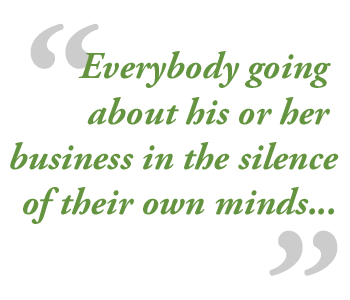 There is nothing unusual or unprecedented about the human, all too human, need to reveal oneself to others. 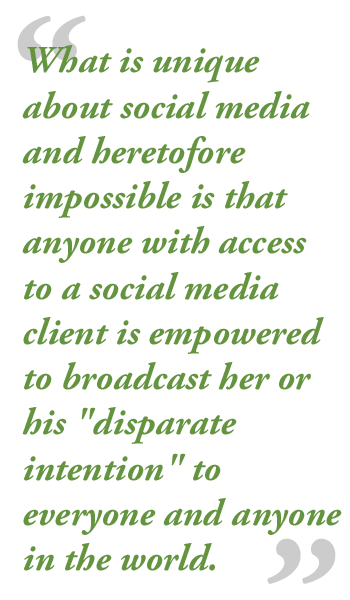 What is unique about social media and heretofore impossible is that anyone with access to a social media client is empowered to broadcast her or his "disparate intention" to everyone and anyone in the world. Through the magic of social media, we all have become broadcasters; the programming we broadcast is ourselves! How you or I or anyone of us chooses to broadcast this message of ourselves — declaring who I am, what I'm interested in, what matters to me — remains my own and your own editorial decision. How I present myself in my broadcast of myself remains entirely up to me: like the makeup I apply, the clothes I don, or the car I drive, the choices I make symbolically express how I wish to be seen by everyone else. They conceal as much as they reveal. But make no mistake about it, what I post on my wall or tweet from the electrical wires is me revealing to the world who I am. Whether it's by relaying the latest cat video, or decrying the latest nonsense by some fool congressman, I am announcing to the world what I value. This newfound power to editorially cast myself in the lead role of the story of my life and broadcast select highlights of it to friends and strangers, near and far, turns the world, literally, inside out. Inscrutable faces get turned inside out into Facebook. My intention of leaving an enduring mark upon the world, one that persists long after my body lay a-mouldering, becomes chronicled in my blog, headlined through my tweets. The back and forth discussion on Google+ corrects my direction even while it strengthens my resolve. This ability to take that which is most secret inside my mind and selectively broadcast it to the world is not only unprecedented but also, to use an overused word, revolutionary. This really changes the world. How we interact with one another, how we do commerce, how political decisions are framed, how we meet and fall in love, all fall victim to this revolution force that turns the world inside out. Imagine someday, not too far in the distant future, when you walk down the street in Manhattan sporting your fashionable Google Glass, gazing not only upon the faces of passersby but their Facebook page as well. We are on the cusp of a change that is as thoroughgoing as any that have ever occurred in human history. The implications are immeasurable. Good and bad. But one thing is certain: the world turned inside out will be a more interesting place. Whether this signals a Chinese curse or an opportunity depends, largely, upon how vulnerable you are willing to make yourself, how authentically you decide to reveal yourself to everyone who encounters you. Leland was a founding member of Maryhouse, a Catholic community supporting homeless and distressed women in New York. He has also worked as a nursing assistant caring for terminally ill individuals at St. Rose’s Home in New York. He has instructed philosophy at Boston College; and typeset a series of books on Greek philosophy. Served as editor and designer of the Boston Computer Society’s Macintosh newsletter, The Active Window, transforming it into a feature magazine. He has worked in varying capacities for Little, Brown and Company book publishers, Time Warner, Brandeis University, Lands’ End, The University of Wisconsin (Madison), and Agfa Monotype. Oil painting on canvas with ornate gold leaf moldings. Her style is a mixture of figurative and abstract. "My paintings are my most direct form of communication within the art world. 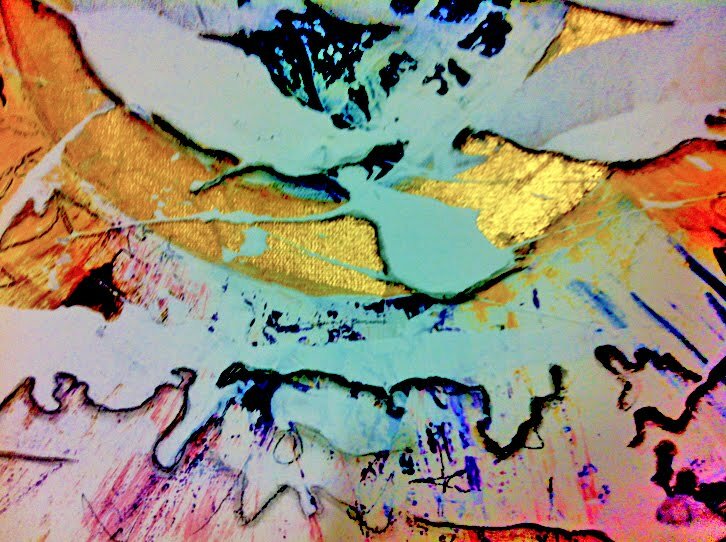 From basic technical orderly patterns (abstract work) to euphoria (angels and other meditative work), my daily moods and feelings are shown in my work." Juliette's fascination for light and movement has become her study in art at all levels.